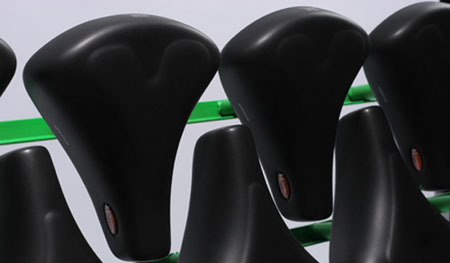 As we outgrown our bicycles or as their life has ended, we intend to discard every single part of it not knowing that some parts can be recycled just like the Ride a bench by Jeremy Petrus the make use of bike seats. 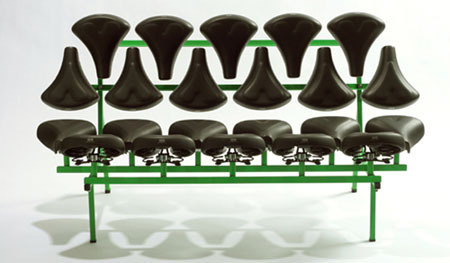 The bench’s seat and backrest are made of bike seats creating a unique and catchy look among any other bench that you may see along the way. 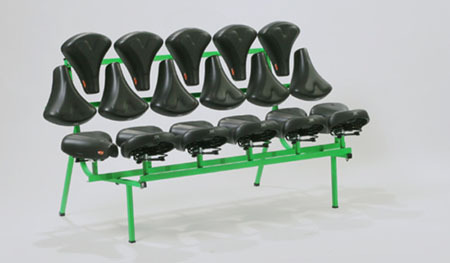 The bench looks comfortable enough though, however, I wonder if this will not hurt you when seated on an extended period. 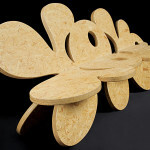 Other than that, the bench looks awesome enough to be your furniture while grabbing the attention of your guests.